Now that Halloween’s over, it’s safe to say the holiday season is officially in swing — although judging by the Christmas decorations lining every store’s aisle, it already has been for weeks! Taking a trip over the winter season can seem intimidating, especially if you’re responsible for traditions like hosting a big family feast. The holidays are all about creating a cozy, homey atmosphere… which is obviously somewhat difficult to pull off if you’re not actually at home. While staying in a string of anonymous hotel rooms might make merriment a difficult achievement, there is another way to take on your holiday travels that’ll make you feel right at home — RVing! When you hit the road in a travel trailer or motorhome, you’re literally bringing home along with you, which means you can combine all the freedom and flexibility of road tripping with the comfy-cozy atmosphere that makes the winter holidays so great. That isn’t to say, however, that you won’t need to make any special preparations if you really want to get in the spirit. 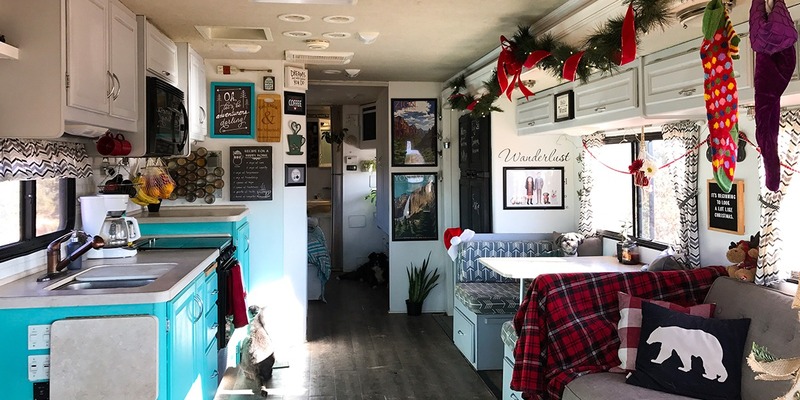 From travel-friendly decorations to fixing a feast in even a teeny-tiny trailer kitchen, this post is all about how to make your RV feel just as jolly as your sticks-and-bricks home this holiday season. Whether you’re a seasoned RV veteran or considering taking your very first spin, it’s undeniable that motorhomes and travel trailers are ideal conveyances for holiday travels. Maybe you’re looking to explore a new state park or city while it’s decked out in its winter wonderland snow blanket… or maybe you’re just hoping to head to Aunt Carol’s without having to worry about crashing on the couch. Either way, a holiday RV rental will help you get to your destination in comfort and style. And since you’ll have all the comforts of home along for the ride, you won’t have to compromise on any of your favorite holiday traditions. What’s more, holiday camping gives you the opportunity to create brand new holiday rituals that are unique to your family. Maybe instead of gathering around the Christmas tree, you spend Christmas Eve hiking down a tree-lined path at your family’s favorite national park. Maybe instead of gathering at one family member’s home for the big meal, you create a family caravan and enjoy your camping holidays in some central location or destination — whether it’s your old stomping grounds or some new place you’ve all long hoped to explore together. Heck, maybe you’re a solo traveler or a small family who’s simply fed up with all these holiday shenanigans, and you’re just looking to get away from all the fuss for a few days, to curl up together in the woods and remember what the holiday season is really about. No matter which description fits your travel desires, renting an RV is a great way to get where you’re going. And while certain RV rental agencies might offer special holiday packages, the easiest way to find the best prices (and rent from the best people) is to check out the peer-to-peer marketplace here at RVshare. When you rent through RVshare, you’re putting money directly into another camper’s pocket — rather than into the coffers of a big, faceless corporation. What’s more, the vehicles already have an extra dose of the cozy factor… since they’re actually used and vacationed in by their owners! Finally, private RV owners don’t have to foot the expensive overhead costs of running a big rental business, like paying customer service representatives or keeping the lights on at a large dealership floor. And that means they can pass on those savings directly to you in the form of lower per-night rental prices. So maybe by now you’re convinced that RVing for the holidays is the way to go. Which brings us to the important stuff: how to make your rig, whether it’s your own or a rental, feel like a holiday festival house on wheels. 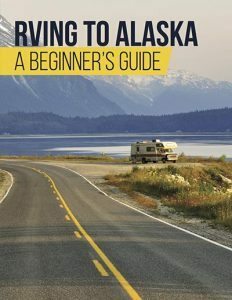 No matter what type, size, or shape of RV you’re planning on traveling in this winter, you’ll likely already have the basics on board for a cozy holiday atmosphere: a kitchen to cook your favorite meals in, a dinette set to eat those treats at, and soft, comfy sofas and beds in which to snuggle up with the people you love most. 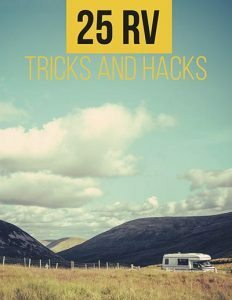 But that doesn’t mean there aren’t certain RV accessories that can make your rig feel filled with just a little bit more Christmas cheer — or make it way easier to whip up those holiday recipes. Here are a few items to consider adding to your packing list for your upcoming holiday travels. But we’re obsessed for a reason. 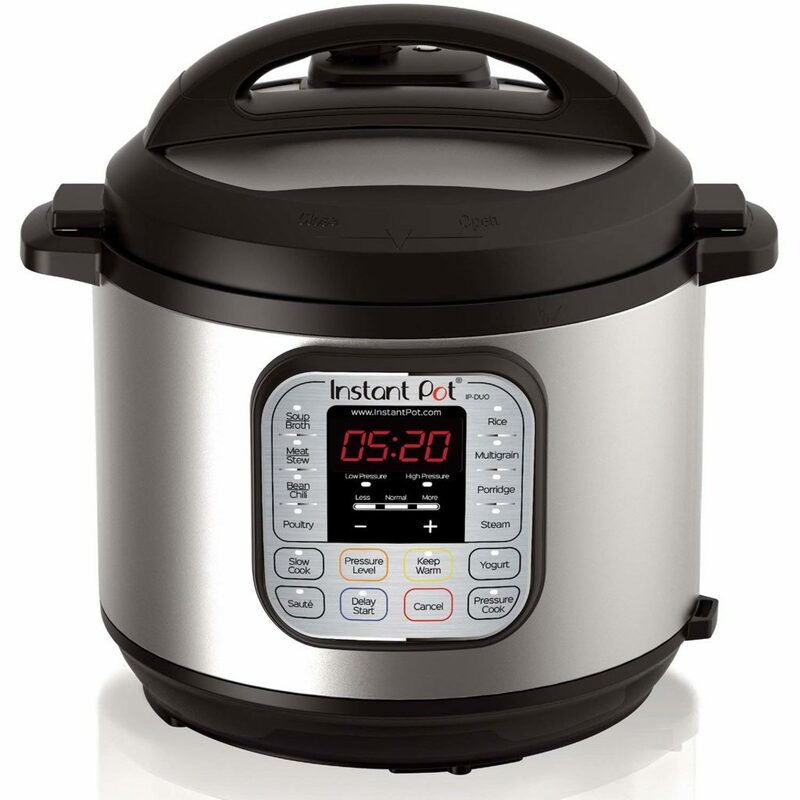 Because even in a large, Class A motorhome’s kitchen, space is at a premium — and it’s hard to find a device that can outperform the Instant Pot, square inch for square inch. This single, small appliance can slow cook, saute, steam, or cook perfectly fluffy rice. You can even use it to make homemade yogurt! So when you’re whipping up those favorite holiday dishes your family adores, having one in your arsenal will be a big help… especially since your oven is likely to be already occupied by a ham or turkey. One of the best ways to make a teeny-tiny kitchen feel much bigger? Get organized! Sometimes, it’s not about how much stuff you have so much as it is how you store it. For instance, we all know the pain of trying to figure out how to put away a bunch of mismatched pots, pans, and their lids. (Honestly, this problem haunts us even in our non-motorized domiciles.) Cabinet organizers, especially customizable ones, can turn your under-sink disaster into a neatly organized stack of easily-accessible tools. Purchasing the right kinds of kitchen goods in the first place can also help tremendously — so if you haven’t outfitted your RV kitchen yet, consider getting a set of nesting bowls or stackable cookware. 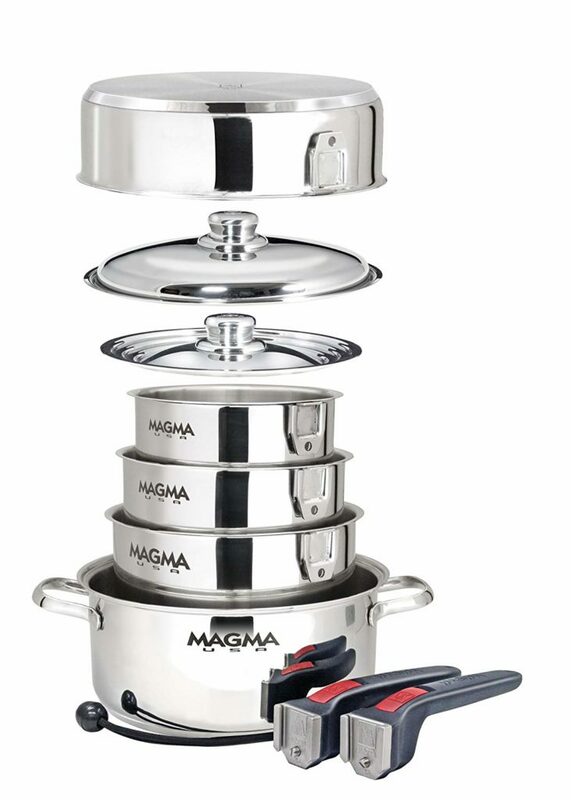 That way, you can have all the gadgets you need for the footprint of just one large bowl or pot! There are plenty of other ways to maximize your RV’s kitchen space in order to make way for the important stuff: all that yummy food! From hide-away garbage cans to DIY spice racks, check out the following RVshare posts to learn even more about super-clever kitchen storage solutions. One way to make your rig feel homey for the holidays: bring along cozy blankets and clothes that’ll both help you keep warm through winter’s chilly weather while also serving as festive decorations. 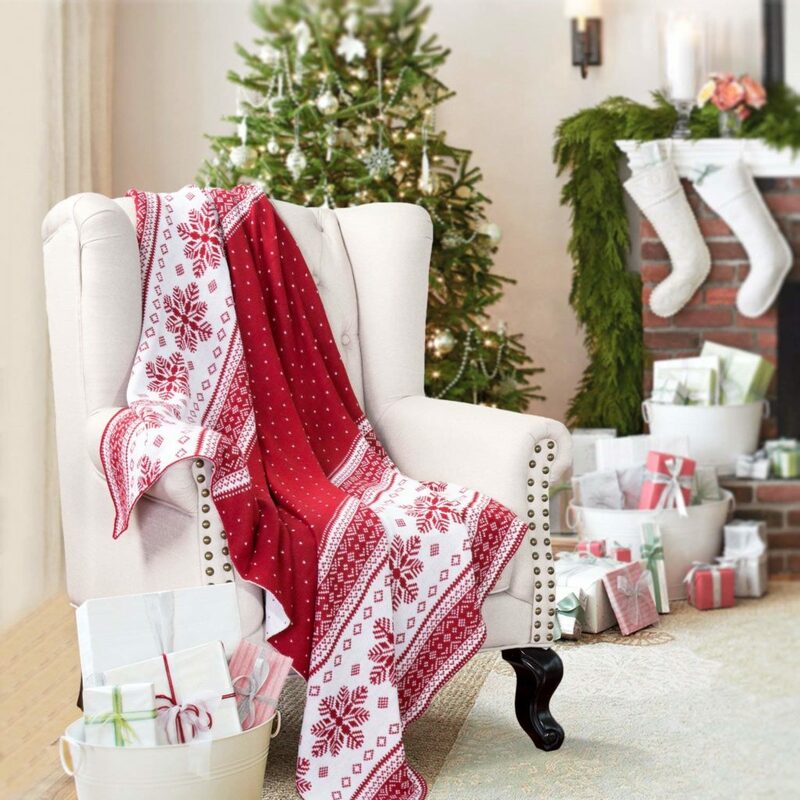 For example, a soft, cheerfully-patterned blanket makes the couch feel much more Christmasy, and every holiday wardrobe needs at least one ugly Christmas sweater! When it comes to creating a cozy RV environment for the holidays, it’s all about the right decorations. 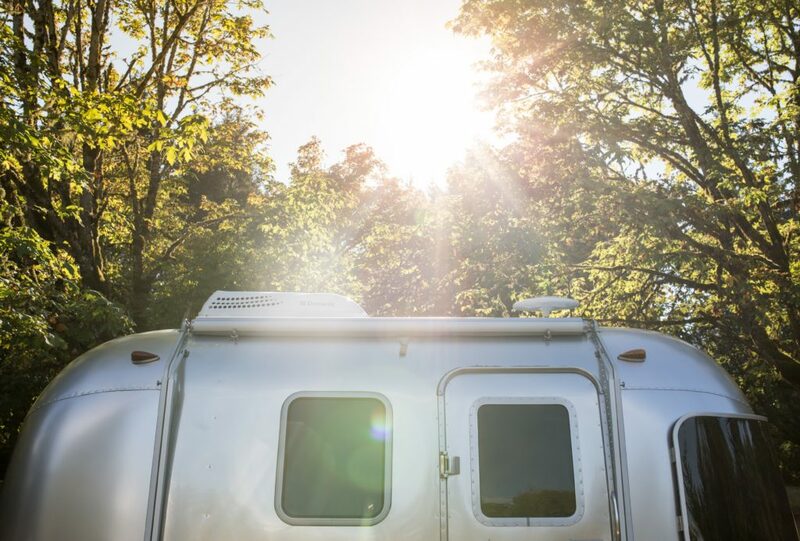 And while not every holiday favorite translates well into an RV’s tiny footprint, adding these items to your holiday checklist will go a long way towards making your home away from home feel just like… home. Nothing says Christmas cheer quite like a string or five of Christmas lights — and whether you’re into blinking multicolor twinklers or the plain white strands, these classic holiday decorations are totally RV friendly. 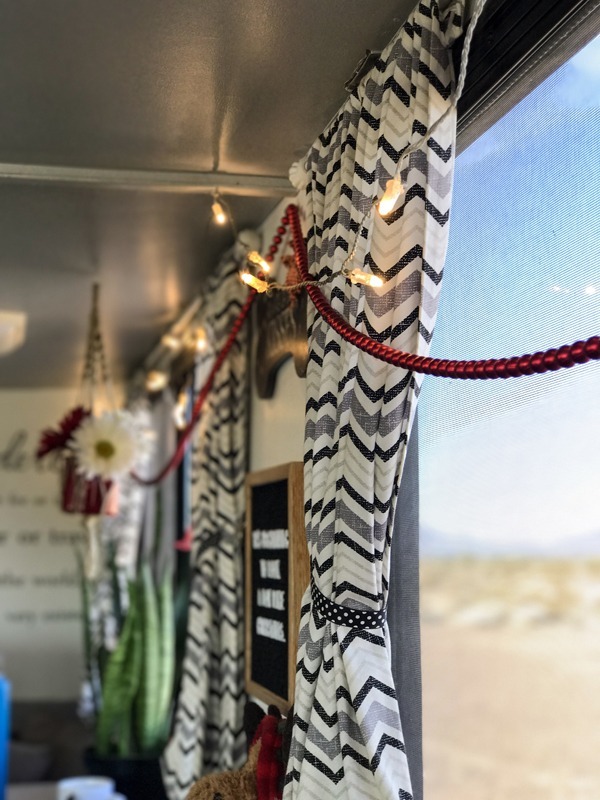 Bedazzle your rig with both indoor and outdoor lights, stringing them around the frame of your slide out or along the arms of your RV awning. If you’re boondocking, you can even go in for a cute battery-operated set, which won’t draw on your limited power supply. Best of all, RV Christmas lights can easily be repurposed for year-round use, and make excellent auxiliary interior lighting or semi-permanent porch decorations. Plus, when you leave them up all year long, you don’t have to worry about untangling them come next Christmas! It’s Christmas — so bring on the red and green! Stringing garland, wreaths, ribbons, and streamers around your rig can transform any space into a holiday bonanza. 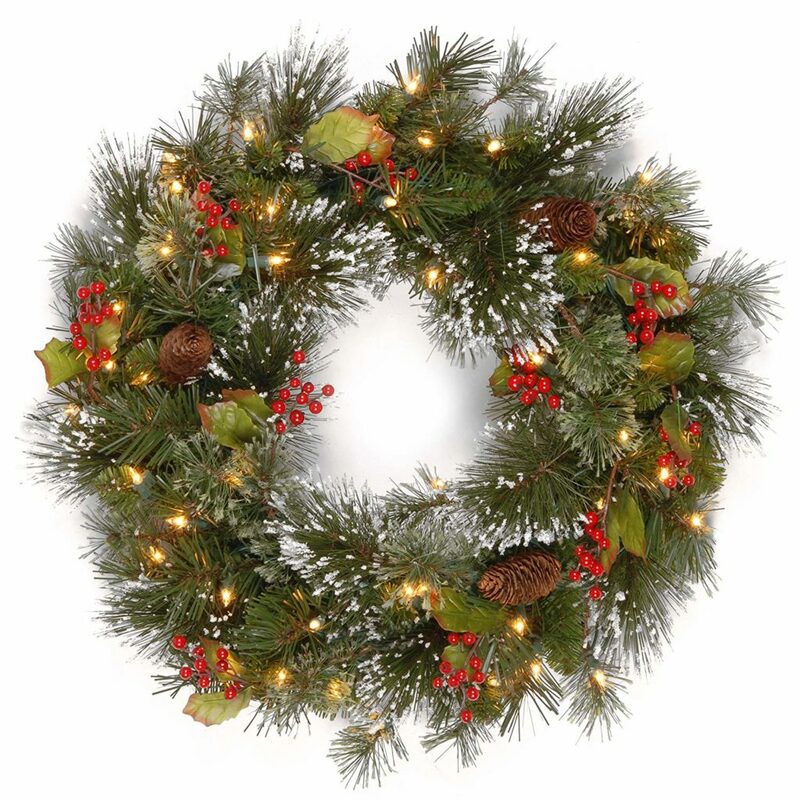 You can purchase real greenery from your local Christmas tree vendor, of course, but artificial garlands and wreaths have the benefit of not shedding pine needles all over the place… and can easily be reused next year. Plus, you’ll get the opportunity to choose from a wide variety of styles — check out all the different kinds of reusable holiday wreaths that are available on Amazon! If you feel like getting crafty, you can even make your own holiday wreaths. Not only does it make for a day of family-friendly fun, but you also end up with an amazing keepsake you can use again and again! 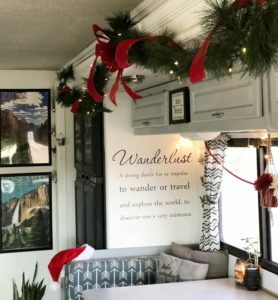 Here are even more interior decorating and camper decor ideas to turn your travel trailer or motorhome into the ultimate Christmas RV! But smaller, tabletop Christmas trees are perfect for RVing — and cute as a button, to boot. 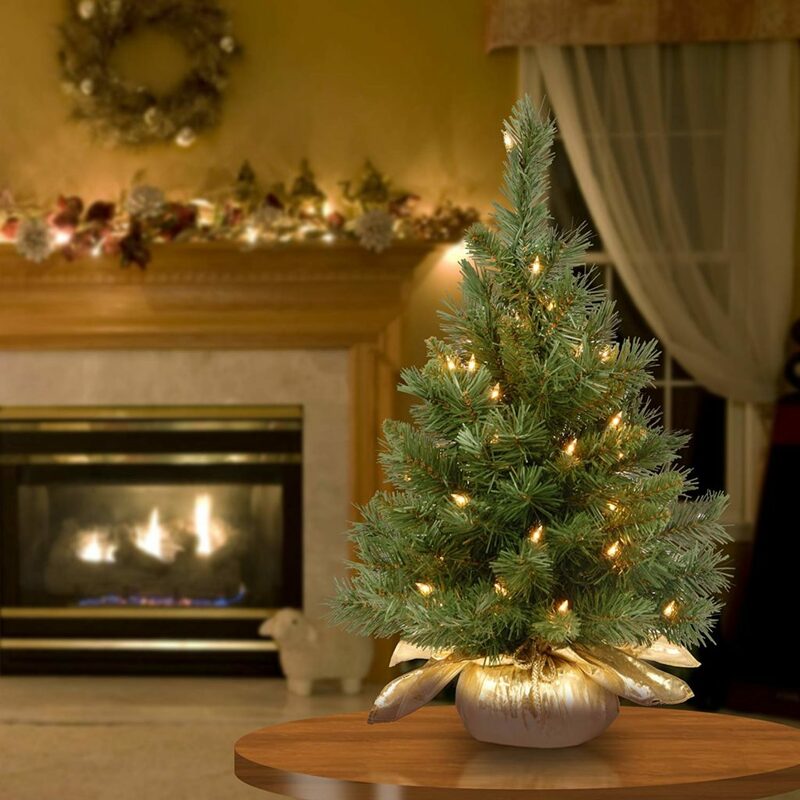 They often even come pre-lit, so you don’t have to worry about finding a small enough strand of lights for them! The kitchen is the heart of any home, and a mobile home is no exception. So if you’re going to be kicking back in an RV for the holidays, you’d better make sure that beating heart is the center of your Christmas festivities. 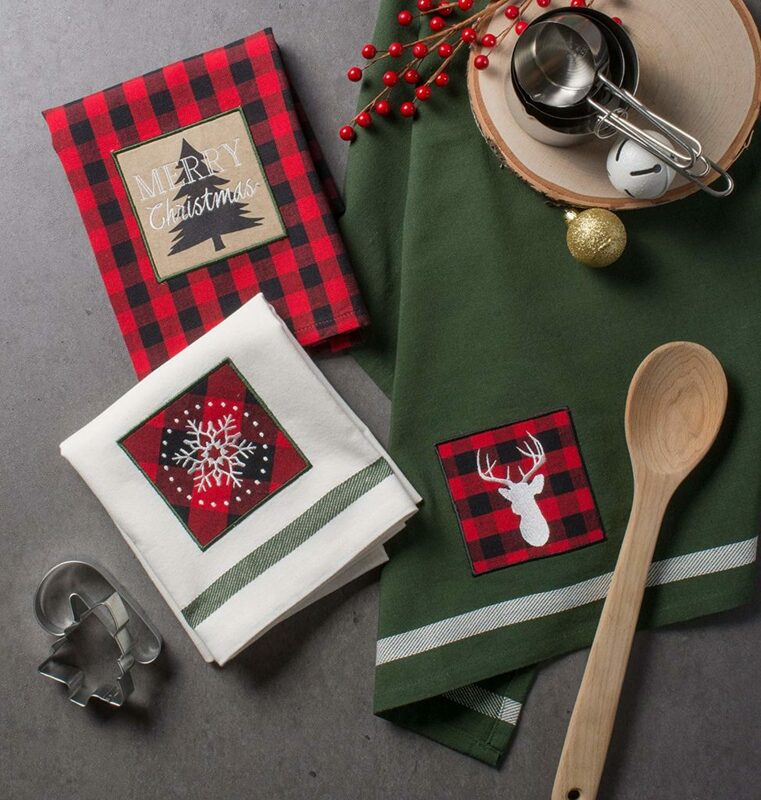 Little touches, like holiday-themed hand towels, oven mitts, pot holders, mugs, salt and pepper shakers, and even disposable napkins can really help pull your RV’s Christmas decor scheme together. Every time you make or eat a meal — which, let’s face it, is a huge part of what the winter holidays are all about — you’ll be reminded of the cheer and happiness of the season. Having holiday-themed kitchen accouterments can also elevate your family feast to the next level. With these big, exciting meals, it really is just as much about presentation as it is about the recipe! Psst — nervous about entertaining a big group from the heart of your small RV? Quit that nail biting! We’ve put together some simple tips to help you make and serve a grand holiday feast even from the humblest of travel trailers. Where Will You Take Your Holiday Trip? Now that you’ve got your RV set up for a cozy, celebratory holiday getaway, it’s time to turn to an even more important task: figuring out where you’re going to go! Don’t get us wrong — snow is fun and all. But after a while, shivering in your boots and scraping your windshield every morning gets old. So why not use your holiday getaway as an opportunity to thaw out a bit? 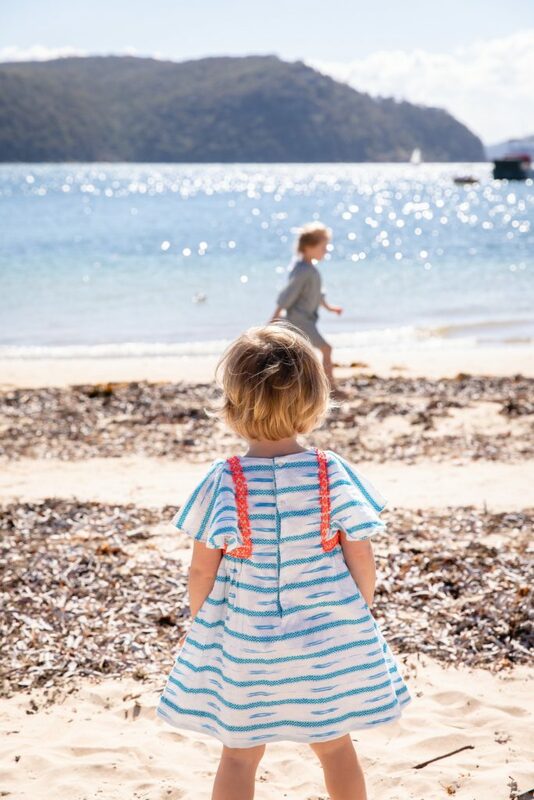 There are plenty of amazing beach destinations where it stays warm all year round, especially along the coasts of southern Florida, California, and parts of Texas. Just imagine: You’ll be able to kick back on your beach towel or lounge chair, drag your toes through the sand, and sink into that book you’ve been putting off with all the holiday preparation. And best of all, you can definitely leave your coat in the car. When it comes to making things merry and bright, not all campgrounds are created equally. 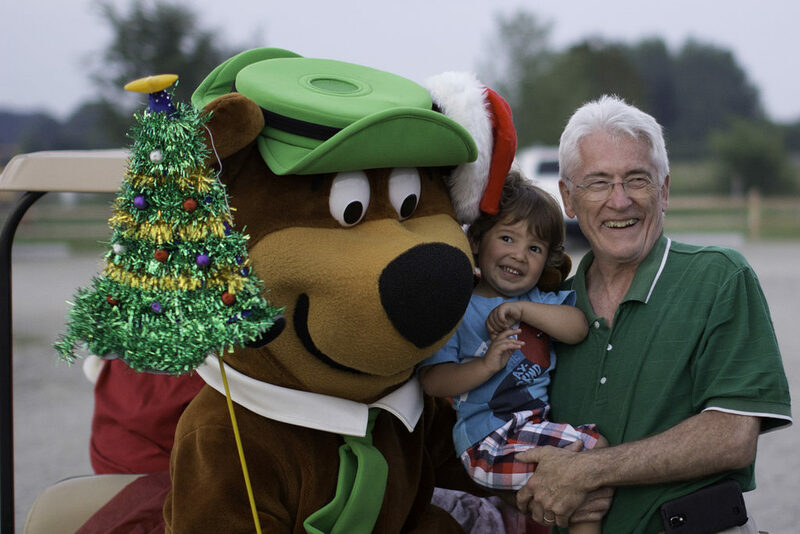 Some RV parks pull out all the stops when it comes to celebrating the holidays — and our favorite example is the family-friendly Jellystone Park franchise. Jellystone Parks are already renowned for their ample amenities and fun-filled family activities. But come Christmastime, most locations transform themselves into the ultimate holiday RV park. While each individual campground is different, you may enjoy light shows, hayrides, caroling, and screenings of favorite holiday movies… all without ever having to step foot offsite. 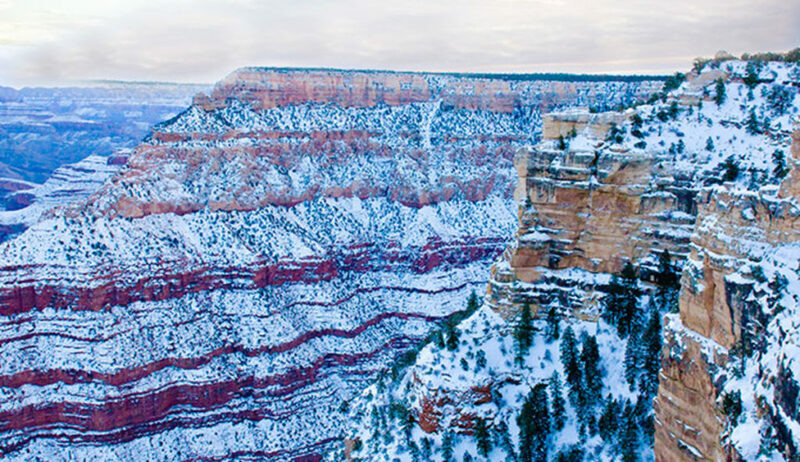 Plus, with almost 80 Jellystone Park locations to choose from across the United States and Canada, chances are there’s one close to your favorite winter destination anyway. Click here to find a park near you and experience an unforgettable family Christmas. Doing so will definitely make you smarter than the av-er-age bear! The national parks tend to be associated with epic, cross-country road trips that usually take place over long, winding summers. But the wintertime is actually a perfect time to pay a visit to many of the parks. Not only will most parks be much less crowded than they would during June, July, and August, you’ll also get the chance to experience them in a way most people don’t — blanketed with pure, white snow and icicles. You might even benefit from lower lodging costs, since providers tend to incentivize stays during the slower shoulder season! Do keep in mind, of course, that some of the trails, roads, and facilities in certain parks may close for the winter, especially in far-northern locations like Glacier or Acadia. While most of the parks themselves stay open year-round, the hiking trails and interpretive centers you may want to visit could be inaccessible, so be sure to check ahead before you plan your adventure! Sometimes, an urban camping trip is exactly what you need. And if you’re looking for the perfect big city to spend Christmas in, it’s hard to beat New York. Think about it. Where else can you spend the afternoon ice skating at Rockefeller Center, zipping around under the looming glow of the famous New York City Christmas tree, only to follow up with an evening of entertainment by the Rockettes at Radio City? 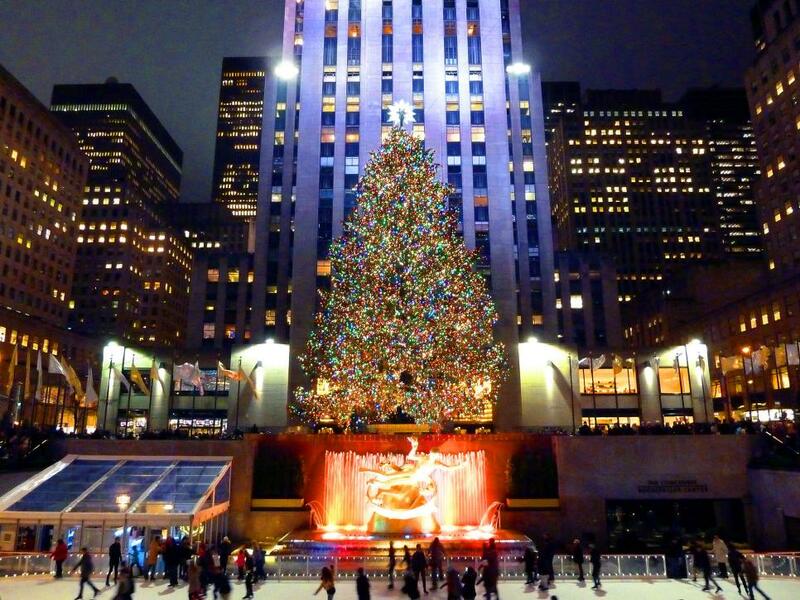 It’s undeniable: the Big Apple is pretty much synonymous with Christmas cheer. If you stay a while longer, you can even create an amazing New Year’s Eve camping tradition. Brave the crowds at Times Square or sit back and enjoy the ball drop from the comfort of your rig’s couch. Either way, being that close to the action will definitely add a new layer of excitement to your evening! It can be difficult to find RV camping and parking spots in such a densely metropolitan area, but there are actually some decent options nearby. For instance, Liberty Harbor RV Park is located just across the water in Jersey City, New Jersey — which means you can easily access Manhattan by ferry, light rail, or the PATH train in a matter of minutes. 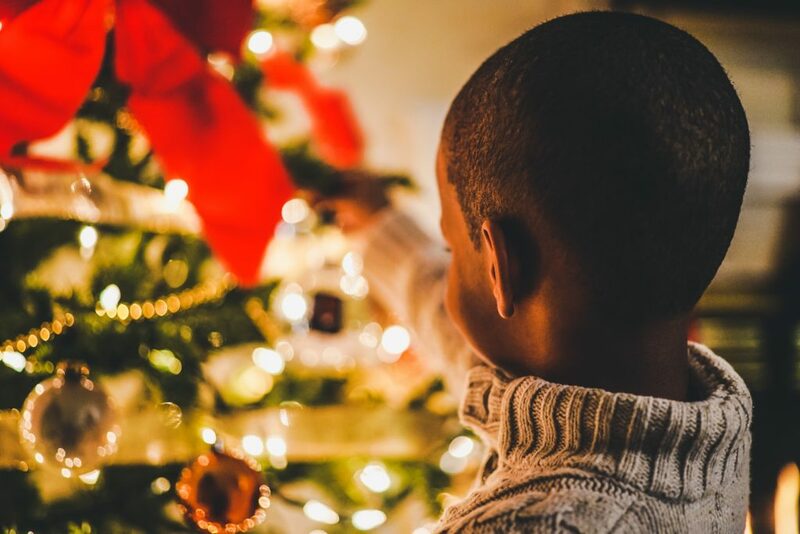 We all love the chance to reconnect with our families during the holiday season — especially those far-off relatives we don’t get to see very often. But let’s face it… nobody wants to crash in the guest bedroom for more than a night or so. And let’s not even get started on the bathroom situation! Even hosts and guests with the best intentions will likely find themselves in a few awkward situations — and besides, sometimes, it’s just nice to get some space. You can love your family and still want to enjoy your privacy. And an RV gives you the perfect way to do just that. You’ll be able to stay nice and close to your family while still having your own little space to retreat to once you need a break from all the festivities. Just make sure you don’t pull a Cousin Eddie and dump your wastewater tanks into the street sewer. Sometimes, you don’t need to go anywhere at all to enjoy the getaway you needed. And especially at Christmas time, it’s less about the destination than it is about who you’re going with — and what you’ll do together to enjoy it once you get there. They say there’s no place like home for the holidays. And in a way, we agree. Enjoying a holiday at home is great — comfy, cozy, and surrounded by all the soft and celebratory touches that remind us that it’s the very best time of year. But at the same time, winter’s unique beauty can act as a clarion call to those of us blessed with wanderlust. It can seem difficult to rectify those two impulses! But that’s exactly why RV living is so appealing. No other form of travel so seamlessly merges the twin human desires for novelty and familiarity. You’ll get to see and experience a host of new things, all while knowing you have your own, private space waiting for you to make your retreat once your day of adventure is over. The holidays in particular offer an array of opportunities for curious travelers, from exploring an unseen destination to returning to an old haunt under the new cover of snow. RVing can also be an easy and accessible way to visit family and friends for the holidays while still maintaining a level of privacy — and you can also easily turn it into a family-wide caravaning event, sure to become a new favorite family tradition. 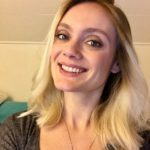 Winter RVing does come with its own unique set of concerns and precautions, such as using RV antifreeze to winterize your rig’s plumbing system. But don’t worry! We’ve written a lot about how to get ready for camping in cold weather! Here are some posts to help you get your head around these (honestly fairly simple) preparations — and also a few more ideas for destinations and RV-friendly holiday celebrations. At the end of the day, the holidays are all about surrounding yourself with the people who matter most to you — the where and what are much less important than the who. So while bedecking your RV (or your home, or your hotel room) with garland and wreaths can help reinforce the holiday spirit, even a totally empty room is full of Christmas cheer when you’re there with the people you love.